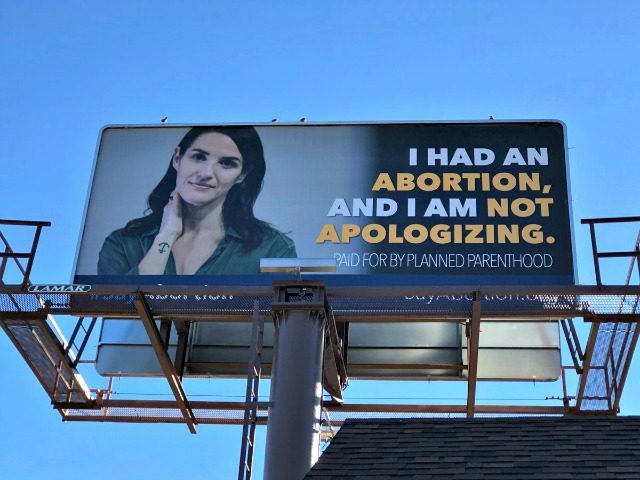 Planned Parenthood of the Heartland in Iowa has erected billboards in Des Moines that urge women to “Say Abortion” and boast about having terminated their pregnancies. The billboards – which are slated to go up in other Iowa cities as well – are aimed at “breaking the cycle of silence and stigma” surrounding abortion, claims a news release by Planned Parenthood. Planned Parenthood has long advanced the narrative that abortion is “women’s health care,” without any acknowledgment that abortion ends another human life. Planned Parenthood envisions a culture where abortion access is understood as a basic human right, an essential part of health care and a normal part of life. We are amplifying the voices of real people who have had abortions, we are talking about abortion care out loud, and we are shifting the narrative so all people can talk openly about abortion with sensitivity to the complexity of real-life individual experiences. The organization is battling the new fetal heartbeat bill, signed into law in May by Iowa Gov. Kim Reynolds, a Republican. The measure bans abortions past the time when a fetal heartbeat can be detected, usually six or seven weeks. However, Planned Parenthood and another women’s abortion facility have filed a lawsuit to challenge the law. “I believe that all innocent life is precious and sacred, and as governor, I pledged to do everything in my power to protect it,” Reynolds said when she signed the bill into law. “Stigma keeps people silent about their personal experiences with abortion, and silence feeds politicians’ power to interfere with abortion care,” Planned Parenthood states. Planned Parenthood says it will post other billboards later in January in Ames, Cedar Falls, Cedar Rapids, Council Bluffs and Iowa City.